Take my past life test to know: are your past lives calling you? I created this past life test to help you decide if your soul is nudging you to explore your past lives. The test is a series of questions to help you identify past life information... from the clues in your everyday life. I'm writing about past lives because exploring my own karma was a profound part of my own spiritual awakening. Early on, I began to wonder why life felt so hard. Out loud, I'd joke about what I must have done in a past life to deserve this! I was joking but really, I wasn't. It was the only way I could bring up past lives and feel safe, for not one person around me believed in or talked about such things. For a while, I felt alone and a bit crazy, judging myself all over the place. But the more I dug into the information (supported by my heart) the more that reincarnation, karma and past lives were the only thing that made sense to me. This past life test is a light-hearted approach to what I actually believe is a serious topic. But it's a good way to start. Since my early days of self-doubt, past lives have become self-evident and even obvious to me. In fact, I'll go further. I believe that our lack of understanding of the reality of reincarnation is an enormous gap in collective, mainstream belief. And a hidden truth that holds the human race back from growing spiritually the way we were meant to. Nuff said. Wherever you are in your journey...open your heart and ponder curious things. Have fun taking the past life test and the past live quiz linked below too... and see where your heart lands. 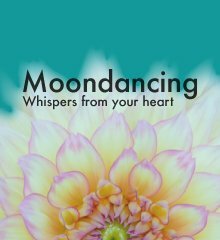 Be sure to explore the other easy to read articles on this site (each has a slightly different slant), and sign up for my free newsletter Moondancing if you resonate. Where does past life information come from? Does it surprise you to learn that piecing together your karma and past lives is a gradual process rather than one big information dump? Well, this has been my experience, anyway. While sometimes I wished that my past lives would come to me like a movie in technicolour, with a tidy convenient list of the actors involved and our karmic ties, most often it came in bits and pieces. That's why the first step of receiving your past life information is opening to the messages as they come into your life: which is what the past life test will help you do. Here's my past life test: enjoy! Have you ever had a dream where you woke up, and it felt so real that it took you a while to 'come back' to reality? Do you have an interest or talent, that is very different from your family of origin? Have you attracted the same painful, repetitive experiences again and again? Are you a collector? Why do you think you were you drawn to your particular passion? Have you ever felt 'dread' when you met someone, yet were compelled to get closer to them? Have you ever been irrationally scared to lose someone in an accident (for example), even when you don't have a logical reason to be scared? Have you ever done something completely out of character because of meeting someone (like having an affair, or taking risks that aren't like you)? Have you ever been strongly drawn to a particular place, or a time in history? Have you ever had a strong connection with (or fear of) a particular animal? Did you have any unusual childhood experiences? Do you have irrational fears or phobias about something or someone, that has no logical connection to this life? Have you ever had obsessive feelings about someone or something, especially if you're generally a logical person? Have you ever taken a wrong turn, which lead to an unexpected, beneficial or fateful event? Have you ever had deep emotions about something or someone, without a reason? Have you ever had an experience that was so 'strange' that you couldn't explain it? Have you ever met someone, and been irresistibly drawn to them, a if there was something pulling you together? Have you ever been relaxed, when an image popped into your mind: a face you 'knew' but didn't recognize? Have you ever been strongly attracted or repulsed by someone you just met for no logical reason? Have you ever overheard a conversation that came at exactly the right time for you? Have you ever heard a 'voice' in your head say something that you had never considered before? Have you ever encountered the same story-theme again and again (say in movies or books), by coincidence? Have you ever had a natural talent for something that you had no training in? Have you ever had someone say particular words, that stood out? Then did you hear these words again (maybe from someone else)? Now tally up your YES answers. Now prioritize them in order of importance to you right now. This is where to explore more deeply... and begin piecing together the past life experiences that have made you the soul you are today. A warning! If you work with others to uncover your past lives, beware of anyone who encourages your dependency on them, instills fear or guilt, judges you, or tells you what to do. Though self-honesty can sometimes be uncomfortable, overall, any experience working with someone should empowering for you. If it isn't, then run. 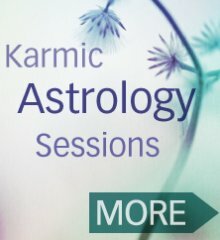 The first thing I did after my big (first) spiritual awakening was learn more about karmic astrology. Fifteen years later, it's still something I turn to to get a unique perspective - and keep me growing on my soul path. Karmic astrology, or past life astrology, is a lesser-known astrology that doesn't predict. Through your birth chart, you can get a very good idea of past lifetimes, and your soul's purpose in this life. Why does understanding your life purpose matter? Because serendipity ramps up when you're living purposefully. And if you're single, you'll tend to meet your soulmate when doing your soul mission. I've studied karmic astrology for a number of years, and have found it both empowering and enlightening. Something else that works well with the astrology...is past life regression! Esteemed psychiatrist Dr. Brian Weiss popularized past life regression in the mainstream with Oprah in the past few years, but it's been around for a while and working with a skilled past life therapist is a great way to get at your past lives. Upon inquiring about past lives under hypnosis, you might get a vivid 'movie-recall' of being a person, with all of the facts complete. You may realize your previous name, dates, the town you lived in and the years you were alive. Or you might only get glimmmers. Clothing. A scene. The flash of a face. An emotional resonance. Even if you work with a skilled past life therapist, you still need to pass it through your own emotional filter. If you sincerely reflect on the past life test, it's kind of like a self-directed past life regression. Free of charge! In his books Only Love is Real: A Story of Soulmates Reunited, and Many Lives, Many Masters, Dr. Weiss condenses his patients' experiences. Often it takes months of work for the critical lifetimes to surface. In my case, I had some major insights in anticipation of the regression itself. So if you use this method, stay open. It'll be unique to you. Someone with talent in dream analysis can unveil some interesting past life insights. Dreams can also foreshadow a soulmate connection. I remember an Edgar Cayce record about a client who was appearing to their soulmate in a dream, before they connected at a deeper level. Only Love is Real also talks about a dream one of Dr. Weiss' clients had that instructed him to 'hold her hand'. When he finally met his soulmate, they sat together on a plane. When turbulence came, he remembered and held her hand. Through this action, the connection was made. Good psychics energetically sense spectrums of possibilities. I've gleaned fascinating past life relationship insights from intuitive readers. I've also met some real duds! So sure, use them, when it feels right...but with discretion. Do not discount what you learn about yourself in the past life test, as your insights are just as valuable. A good psychic won't have ego and will encourage you to do what's best for you. Spend some time reading about America's most documented psychic, and his take on past lives, Akashic Records, soulmates and reincarnation. Reading about how karma works in the Cayce material was an important part of my own awakening. It's much more subtle and symbolic than one might think. If you're hiring a psychic, I'd recommend getting a good reference first. Also, careful not to become a psychic junkie! Use the information to take back your power - not give it away. Have you heard of Akashic Records? 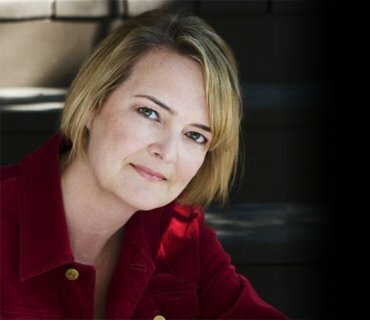 Akashic records are like an otherworldly computer recording collective human experiences, plus the karmic imprints of individual souls. They also go by other names, too, like the Book of Life. With a good, reputable facilitator, we can access the Akashic Records to get information on our past lives. Finally! Here we are, at the core of what the past life test is all about. Even if you work with others, it's still up to you to integrate the information. By far, the biggest 'ah-ha' rock me to the core insights have come from my own life. The answers you seek require the ability to 'connect the dots' of your life in new ways. The more you read about karma and past lives, the more you'll be able to make these past life connections. Many Mansions by Gina Cerminara, a very dense read, but with a fantastic range of topics like the types of karma adn much more. Moondance - a modern take on past life love and awakening. If you like intelligent page turners, check out my first book. For me, I know my past life insights are right, when tears come. It's as if a truth deeper than me is welling up, whispering to me from previous times. So open your heart, open your eyes, notice, trust. Ask for the right information, at the right time, to support the life you desire. Past life quiz – Do you need to know the secrets of your past lives? Find out for sure. Learn about my private karmic astrology session.